Lagos State Governor, Mr. Akinwunmi Ambode, has released the policy direction of his administration on security, transportation, infrastructure and social development while also appealing to the residents for cooperation in moving the state forward. The governor, while speaking at the inaugural retreat organised by the state government for commissioners, special advisers and body of Permanent Secretaries in the state, expressed deep concern over the persistent gridlock in the metropolis, and the increase in the spate of robberies. 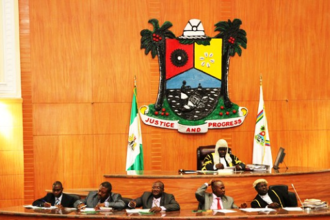 He said in the interim, he had directed the fixing of all potholes to ease vehicular movement, while security agencies had been mandated to enforce the ban on commercial motorcycle operators popularly called Okada riders on highways. The governor noted that aside the risks of accidents, okada could also be a security threat to the people. 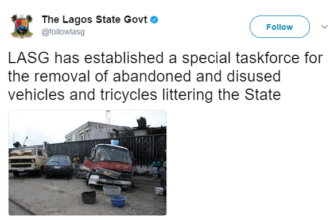 Ambode, who said the government is also working hard to restrict street hawking, urged the people to stop patronizing them so as to discourage street traders from the highways. It will be recalled that Governor Akinwunmi Ambode had last weekend announced his administrations decision to purchase 3 Helicopters to tackle insecurity and traffic congestion in the state.